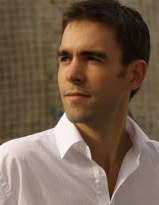 Born in 1980, Martin Bacot studied piano with Christine Pagès and harmony with Jeanine Boutin at the Conservatoire National de Région de Versailles. 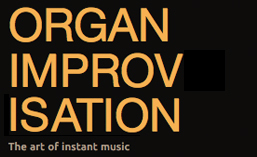 Il has studied organ with Georges Robert, Eric Lebrun, Vincent Warnier, and Pierre Pincemaille. In 2010, he was a finalist in the Haarlem International Improvisation Competition. From 1998 to 2010, he regularly replaced Pierre Pincemaille at the Cathédrale de Saint-Denis. In 2011 he became organist titulaire at the Église St Louis de la Guillotière in Lyon. In addition to his musical studies, Martin Bacot studied architecture at the Ecole Supérieure d’Architecture in Versailles, earning his diploma in 2006. In addition to his concert activities, he works in Lyon as an architect specializing in the restoration of patrimony. This entry was posted in Organist and tagged Andre Marchal, Biarritz, Cathédrale de Saint-Denis, French, Haarlem, Lyon, Martin Bacot, Paris. Bookmark the permalink.